In 1976 Shakeela Begum Khan was murdered, allegedly by her estranged husband. 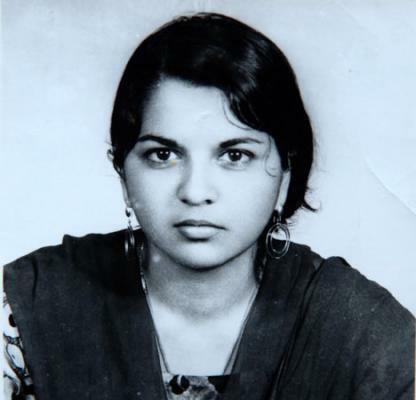 She had married Rasib in 1965, a Pakistani émigré who had become wealthy after working for years in London factories and eventually moving on to buy and develop properties. Together they settled down, Shakeela looking after Rasib’s son Khalid from a previous affair and their daughter Yasmin. Problems started after a family trip to Pakistan. Whilst there, without permission from her husband, Shakeela decided to give away her jewellery to a poorer relative. Rasib, furious at Shakeela’s independent actions reacted: while Shakeela sheltered from him with her family, Rasib quickly married another woman from a nearby village and using Shakeela’s passport returned to the UK with his new wife and Yasmin. Shakeela, having A-levels and some English managed to return to London to reunite with her daughter but the couple remained separated. After a court hearing Shakeela gained custody of her daughter on weekdays, while Rasib was to look after her at weekends. This act of defiance, in challenging his custody of the children was unusual in the Pakistani community in the 1970s. Shakeela worked hard to keep her small family, living in a bedsit and working long hours in a fish and chip shop. However tension arose when Yasmin started to protest at having to leave her mother at the weekends. In 1976 this tension broke. Somebody bust into Shakeela’s house while Yasmin was at school, set up the room to look like Shakeela was a prostitute (shaming her even further) and murdered her. Rasib was initially arrested for her murder, but he denied responsibility and was acquitted for her murder on lack of evidence. Writing about her mother, her daughter described Shakeela as a ‘beautiful, sassy, educated young Muslim woman’ who was deeply missed. After her murder the young Yasmin went to live wither her father and stepmother, precipitating a period of abuse and fear which ended when she managed to have herself taken in by social services.